JJTNG: ‘Starship Troopers 2: Hero of the Federation’ Review! ‘Starship Troopers 2: Hero of the Federation’ Review! A unit of the Mobile Infantry find themselves stuck in a remote outpost, surrounded by Bugs. As they explore the building further they find a prisoner, Captain Dax, who killed his commanding officer. 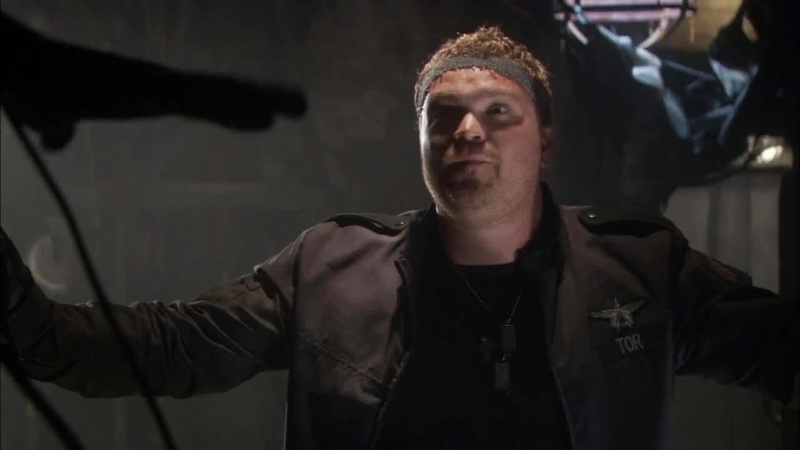 As the siege continues it becomes increasingly clear that some of the soldiers may not be entirely what they seem and Dax may be the least of their problems. 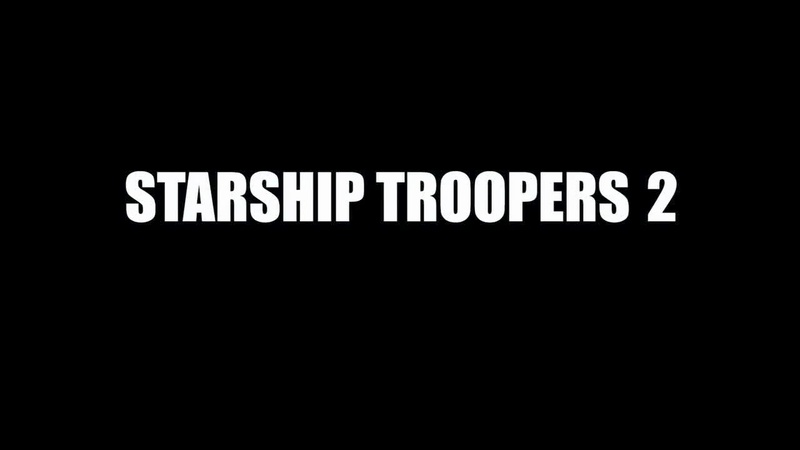 So a few things need to be got out of the way immediately, ‘Starship Troopers 2: Hero of the Federation’ was made on a very small budget for the straight to video market. Therefore it needs to be accepted that this film is not going to be as ‘Hollywood’ as its predecessor, which cost 15 times more to make. This isn’t to blindly defend it, but to acknowledge that certain parts of it are bound to feel cheap in comparison. Obviously some aspects of the film are not going to be confined by the budget, such as the quality of the script. The narrative of this film is a basic base-under-siege story. This is a pretty standard structure for low budget sci fi/horror films as it makes the budgetary limitation of a single location a benefit to the story. However once you have stranded a group in a location, against an attacking foe, you have to make both the defence and offence of the siege compelling for it to work. ‘Starship Troopers 2’ handles both sides surprisingly well. The humans are reasonably interesting and the threat to them convincing. 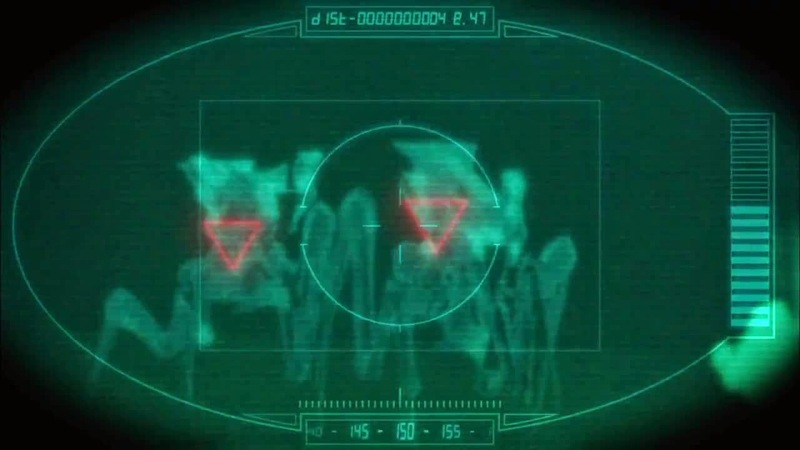 The subtle undertones of the original film, comparing the nature of the army to that of a hive insect, are instead replaced by a less subtle, more direct approach. This isn’t entirely a bad thing as the sequel is going for a different, darker tone; personally I miss the more comic like approach of the original film but this new attitude isn’t bad. Although reasonably well written the script hasn’t got much to it that feels hugely original, however the actors deliver their lines with a lot of enthusiasm which sells some of the more hackneyed moments. Butch? What are you doing outside Gotham? The cast of this film do a lot to make the story engaging, although we really have too many characters to follow. The original ‘Starship Troopers’ got some flak from me for focussing on two characters, the sequel tries to follow about six. This film is at its best later on in the running time, as members of the team have been picked off. This situation allows us some breathing room to get to know the survivors better. ‘Starship Troopers 2’ is trying to be like ‘Aliens’ with its ensemble cast but it fails in this attempt. James Cameron created his characters using the big book of archetypes, allowing them to be easily understood and sympathised with. ‘Starship Troopers 2’ attempts to have a large amount of more complex characters and simply doesn’t have the running time to make the audience understand them. A certain amount of the issues with the cast being hard to empathise with rests with the director Phil Tippett. The performances from the actors are very strong but they a lack a sense of place within the film, as if they are unsure of what they are meant to doing. Many of the cast seems to awkwardly stand in place while delivering lines, removing a lot of the realism the script attempted to add. I suspect this is because the performances Tippett had previously coaxed came from puppets and stop motion creations, not humans. 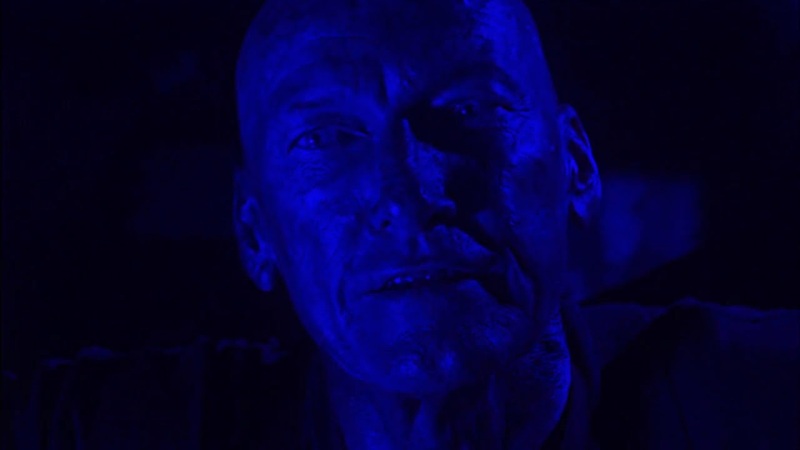 This disconnect is particularly evident during the opening, which may be one of the worst openings of a film I have ever seen. We are introduced to the cast of the film mid battle; we quickly jump from soldier to soldier without knowing who any of them are, or what they’re doing. These scenes of complete confusion last about 15 minutes and almost caused me to switch off the film. I will give Tippett a lot of credit for his direction from a special effects point of view however. This film doesn’t look like it cost $7 Million Dollars, if I hadn’t known the budget I’d have guessed at a figure at least twice as high. Many smart steps have been taken to make the creatures look as good as possible. For one thing the film takes place at night and during a dust storm, hiding the creatures as silhouettes for the majority of the film. When the few practical effects are used, they are used for close ups to further hide the lack of budget. Despite the CG on the bugs being a bit ropey for 2004, ‘Starship Troopers 2’ funnily enough doesn’t look much worse than the original ‘Starship Troopers’. This is partially due to the above tricks and also due to the simple advancements in computing power over the 7 years between the films. The odd effect is a big dodgy, such as the light bulbs on the guns but overall this film looks surprisingly good. So ‘Starship Troopers 2: Hero of the Federation’ isn’t perfect, not by a long shot. The script is far too complex and the actors spend a lot of the running time looking confused about where they should be standing. That being said, the script is still pretty strong and the performances pretty believable. ‘Starship Troopers 2’ is flawed but has a lot to enjoy about it and considering the budget it is remarkably strong. Labels: ‘Starship Troopers 2: Hero of the Federation’ Review!